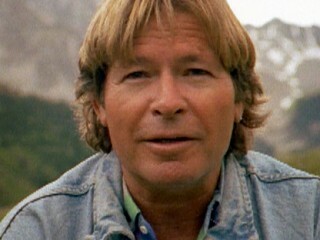 John Denver was born with the name Henry John Deutschendorf Jr. on Dec. 31, 1943, in Roswell, N.M. One of America's most popular performers in the '70s, Denver's rise to fame began when he was "discovered" in a Los Angeles nightclub. He initially joined the Back Porch Majority, a nursery group for the renowned New Christy Minstrels, but, tiring of his role there, he left for the Chad Mitchell Trio where he forged a reputation as a talented songwriter. With the departure of the last original member, the Mitchell Trio became known as Denver, Boise and Johnson, but their brief lifespan ended when Denver embarked on a solo career in 1969. One of his compositions, "Leaving on a Jet Plane," provided an international hit for Peter, Paul and Mary. Subsequent releases garnered some attention, but it was not until the 1971 release of Poems, Prayers and Promises that the singer enjoyed popular acclaim with "Take Me Home, Country Roads." It marked the first of six gold singles. Following the successes of "Sunshine on My Shoulders" and "Annie's Song," Denver made regular appearances on the country charts in 1974 and 1975 with the No. 1 hits "Back Home Again," "Thank God I'm a Country Boy" and "I'm Sorry." In 1975, he was awarded the CMA award for entertainer of the year, which prompted Charlie Rich to ignite the envelope revealing him as the winner. He starred in the 1977 hit comedy Oh, God! with George Burns and filmed a TV special, John Denver and the Muppets: A Rocky Mountain Holiday, in 1983. However, he often shied away from acting, choosing to concentrate on activism for causes such as world hunger, ecology, wilderness protection and space exploration. (He also attempted to become a civilian astronaut, reportedly offering the Soviet space agency $10 million to put him on the Mir space station.) Denver marked two Top 10 country hits in the 1980s for "Some Days Are Diamonds (Some Days Are Stone)" and "Dreamland Express." He partnered with Emmylou Harris in 1983 on "Wild Montana Skies" and sang on the Nitty Gritty Dirt Band's 1989 album Will the Circle Be Unbroken, Volume II. Despite attacks by music critics, who deemed his work to be bland and saccharine, Denver's approach achieved a mass popularity that was the envy of many artists. Yet, Denver fought his own demons, including a divorce and two drunk-driving arrests. He died in 1997 when the private plane he was piloting crashed into Monterey Bay, Calif.
View the full website biography of John Denver.